The Massachusetts Humane Society was organized in 1787 and is generally considered to be the predecessor to the U. S. Life-Saving Service. The Merrimack Humane Society was organized in 1802. 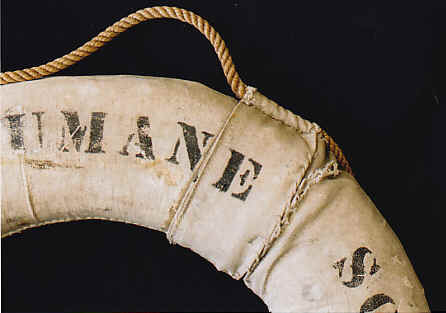 The Massachusetts Humane Society, was one of the first organizations to establish and supply early “Life Saving Stations” in the United States and from their very beginning awarded “Premiums“ for acts of heroism involving the saving of life at sea and along the coast of Massachusetts. Soon its "sister" organization, the Merrimack Humane Society was formed to focus on the Newburyport - Plum Island area and northeast coast. Even after the establishment of the U.S. Life Saving Service in the post Civil War years, the Humane Society continued to provide support and equipment to its members who constituted a "coastal volunteer crew" as well as maintaining "shelter huts" along deserted stretches of the coast for the use of shipwreck victims who has washed ashore far from human habitations. Besides providing equipment and training of volunteer Life-Saving crews along the Massachusetts coast, the Humane Society awarded Life Saving Medals and cash "Premiums" to those who risked their own lives to help passengers and crewmembers of shipwrecks in their area. The Massachusetts Humane Society still exists - today, The Humane Society carries on the mission envisioned by its founders. It recognizes those who voluntarily risk their lives to save others and seeks to prevent accident, injury and death, primarily on the waters. The following are unusually rare Humane Society artifacts, pamphlets, medals and more. Many of the manuscript records were destroyed in the Boston Fire of 1872, making these quite scarce and desirable. For additional items please see our Rare Out of Print page as well. 1779. 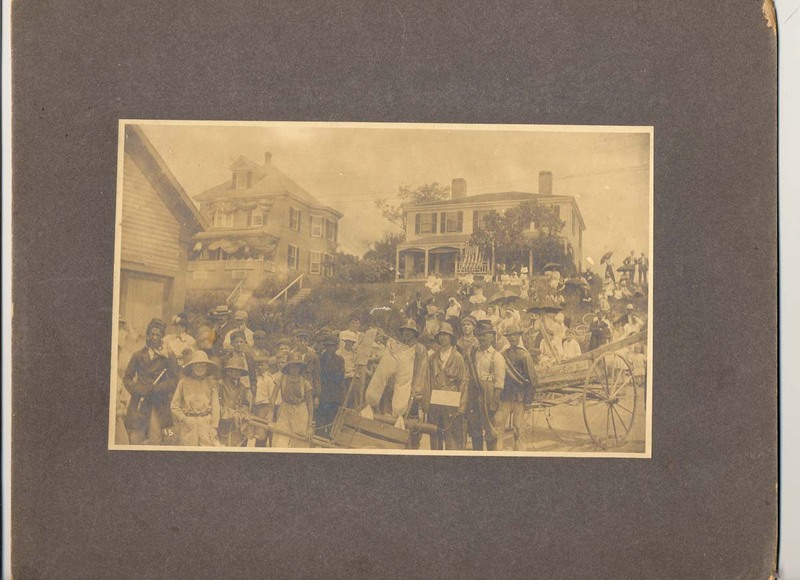 (lot) 10 Photographs Related To The Wreck Of The Steamer Norseman and Humane Society Rescue, Station #10, Marblehead, Mass. c.1899. Six original photos depict the SS Norseman including four views of the Humane Society crew's rescue by breeches buoy and two views of the salvaging, including one large panoramic view. Two images depict the Marblehead division of the Massachusetts Humane Society. Also two are panoramic views of the town of Marblehead. Most with handwritten captions, men identified. The S. S. Norseman went aground on Marblehead Neck, next to Tom Moore's Rock in 1899. All on board, 108 people, were saved using the breeches buoy by the Marblehead Humane Society, Station #10, lifeboat crew, as seen in these photographs. Includes copy of 4-page typed description of the rescue, etc. Rare Humane Society lot – most rescues were never recorded on film. (VG). $925. 27107f. (broadside) Massachusetts Humane Society. 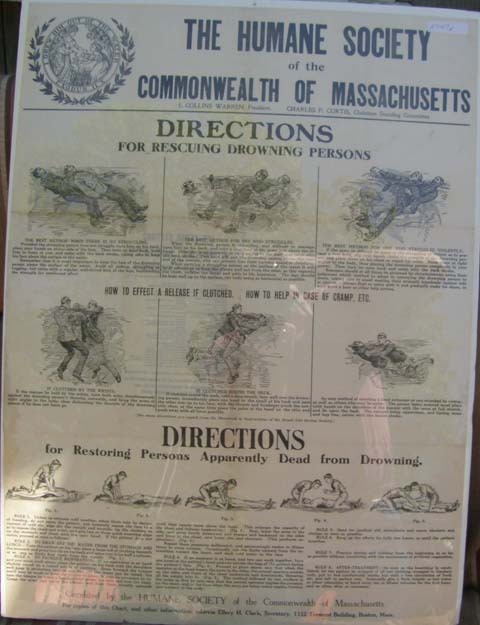 "Directions for Rescuing Drowning Persons". c.1916. Quite large 20” x 26”. Extremely rare, c.1916, large illustrated broadside published and distributed by The Humane Society of Massachusetts. This fantastic, original broadside measures 20 x 26". It is titled "Directions for Rescuing Drowning Persons". Above the title appears the Seal of the Humane Society as well as the words "The Humane Society of the Commonwealth of Massachusetts ". The body of the broadside contains text and illustrations giving instruction as to how to rescue a person who is in the water and is drowning as well as instruction for "Restoring Persons Apparently Dead from Drowning" once the victim has been brought ashore. At the bottom of the Broadside Poster is text that reads "Circulated by The Humane Society of the Commonwealth of Massachusetts .". 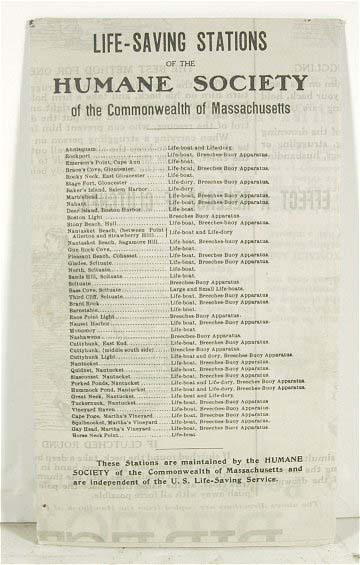 The Broadside is mostly blank backed but when folded (as issued) the section of the reverse side that acts as a "cover" has a list of "Life Saving Stations of the Humane Society of the Commonwealth of Massachusetts. ". Each Station is listed as well as the equipment to be found at each location. The listing includes 30 stations still in existence. Below the list is text that reads "These Stations are maintained by the HUMANE SOCIETY of the Commonwealth of Massachusetts and are independent of the U. S. Life Saving Service.". The Massachusetts Humane Society was the first organizations to establish and supply Life Saving Stations in the United States . Established in 1785, the Society carried on an extensive correspondence with the Royal Humane Society of England and in 1807 commissioned the building of the first lifeboat to be stationed on the Atlantic Coast , to be stationed at Cohasset. 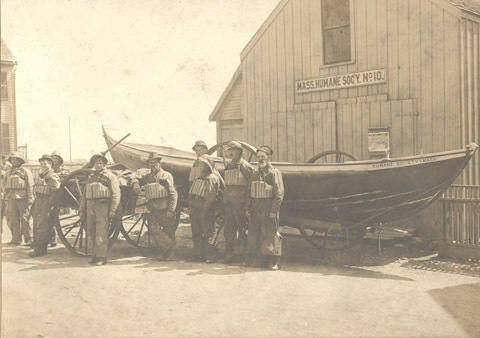 For many years the Humane Society of Massachusetts provided the only lifeboat service along that state's busy coastline. 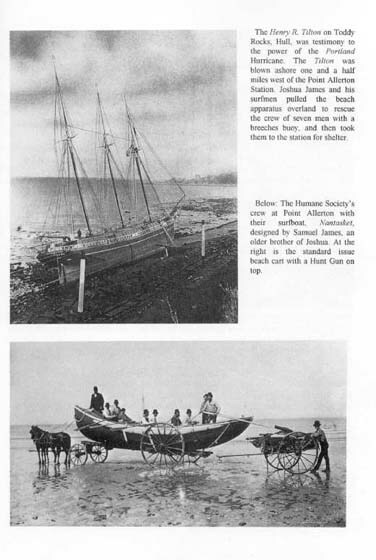 Even after the establishment of the US Life Saving Service in the post Civil War years, the Humane Society continued to provide support and equipment to a number of coastal volunteer crews. In addition to providing equipment and training of volunteer Life-Saving crews along the Massachusetts coast, the Humane Society awarded Life Saving Medals and cash "Premiums" to men and women (and children) who risked their own lives to help passengers and crewmembers of shipwrecks along the coast. In about 1916, when this piece was published, both the Humane Society and the U. S. Life Saving Service manned Life Saving Stations along the Massachusetts Coast . This very rare piece is printed on fairly delicate stock and has somehow survived in good condition. It is clean and crisp with only one slam stain to edge. No chipping or significant damage. It still has good folds, as issued. This very rare and very attractive Life Saving broadside will frame and display beautifully. (VG+). $125. 6267n. 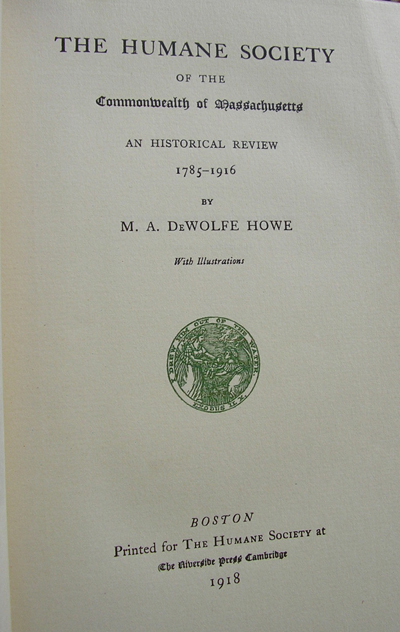 Howe, M. A. DeWolf. 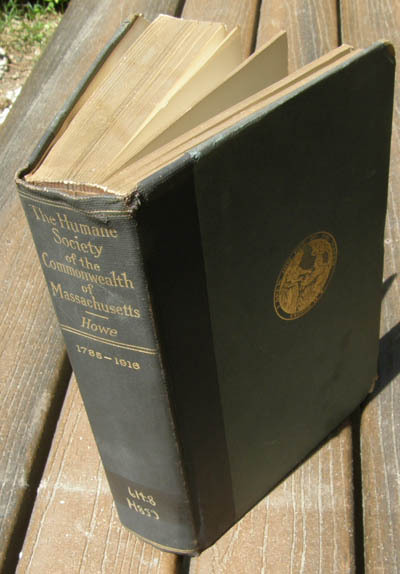 THE HUMANE SOCIETY OF THE COMMONWEALTH OF MASSACHUSETTS - AN HISTORICAL REVIEW 1785-1916. Boston . 1918. 398pp. No. 354 of a limited 1st edition. Illustrated with over 34 fine photogravures of the Society’s Life-Saving stations, boats, crews and equipment. Chronicles the founding and early activities of the Society including the establishment of stations and huts-of-refuge, rescues and resuscitations, Medal of Honor winners, etc. Includes listing of huts and stations and medal winners from 1786 until 1916. A rare title with a wealth of information on this early Service, beautifully presented. Contents clean, tight, covers some wear, corners chipped and brittle, bumped, a few stains, hinges becoming weak. Ex lib with pasted in pockets and bookplate. (VG-). $144. 26230e. [Humane Society badge/award] Extremely rare celluloid badge or award issued by the Humane Society of the Commonwealth of Massachusetts. The Humane Society was the first organization in the United States founded to aid shipwrecked mariners and to award citizens for their exertions in the saving of life. This rare badge or award measures 22 mm (7/8”) and bears the words “The Humane Society of Massachusetts 1956 BEGINNER.” Badge has pin clasp on obverse, not backmarked. Good condition, clean and bright, a wonderful collector’s item, most unusual and a rare Massachusetts Humane Society relic. (VG+). $22. 26230i. [Humane Society badge/award] Extremely rare celluloid badge or award issued by the Humane Society of the Commonwealth of Massachusetts. The Humane Society was the first organization in the United States founded to aid shipwrecked mariners and to award citizens for their exertions in the saving of life. 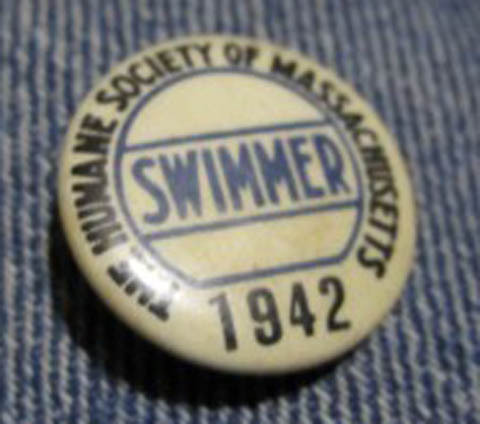 This rare badge or award measures 22 mm (7/8”) and bears the words “The Humane Society of Massachusetts 1949 SWIMMER.” Badge has pin clasp on obverse, not backmarked. Good condition, clean and bright, a wonderful collector’s item, most unusual and a rare Massachusetts Humane Society relic. (VG). $22. 26230k. [Humane Society badge/award] Extremely rare celluloid badge or award issued by the Humane Society of the Commonwealth of Massachusetts. The Humane Society was the first organization in the United States founded to aid shipwrecked mariners and to award citizens for their exertions in the saving of life. 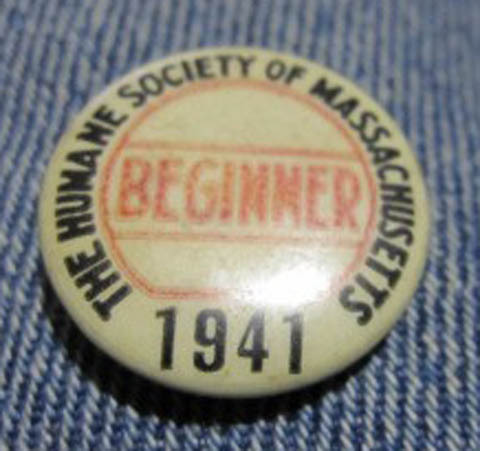 This rare badge or award measures 22 mm (7/8”) and bears the words “The Humane Society of Massachusetts 1941 BEGINNER.” Badge has pin clasp on obverse, not backmarked. Good condition, clean, a wonderful collector’s item, most unusual and a rare Massachusetts Humane Society relic. (VG). $22. 26230L. [Humane Society badge/award] Extremely rare celluloid badge or award issued by the Humane Society of the Commonwealth of Massachusetts. The Humane Society was the first organization in the United States founded to aid shipwrecked mariners and to award citizens for their exertions in the saving of life. 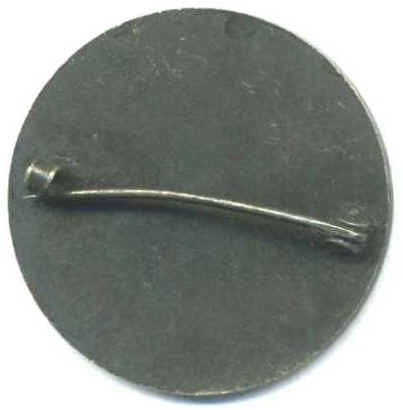 This rare badge or award measures 22 mm (7/8”) and bears the words “The Humane Society of Massachusetts 1942 SWIMMER.” Badge has pin clasp on obverse, not backmarked. Good condition, clean, a wonderful collector’s item, most unusual and a rare Massachusetts Humane Society relic. (VG). $22. 26230m. [Humane Society badge/award] Extremely rare celluloid badge or award issued by the Humane Society of the Commonwealth of Massachusetts. The Humane Society was the first organization in the United States founded to aid shipwrecked mariners and to award citizens for their exertions in the saving of life. 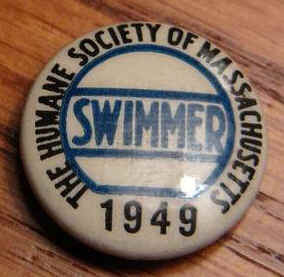 This rare badge or award measures 22 mm (7/8”) and bears the words “The Humane Society of Massachusetts 1951 SWIMMER.” Badge has pin clasp on obverse, not backmarked. Good condition, clean and bright, a wonderful collector’s item, most unusual and a rare Massachusetts Humane Society relic. (VG). $22. 26230J. [Humane Society badge/award] Extremely rare silver badge or award issued by the Humane Society of the Commonwealth of Massachusetts. The Humane Society was the first organization in the United States founded to aid shipwrecked mariners and to award citizens for their exertions in the saving of life. 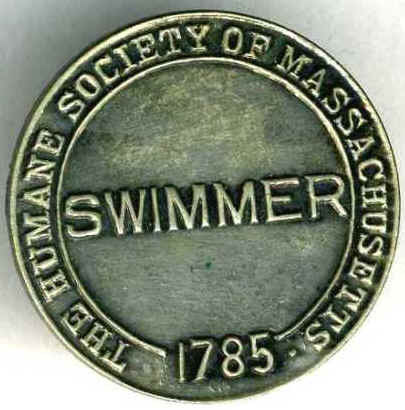 This rare badge or award measures 27 mm (1 1/16”) and bears the words “The Humane Society of Massachusetts 1785 SWIMMER.” Badge has pin clasp on obverse, not backmarked thought it appears that it may be sterling. Very nice condition and a wonderful collector’s item, most unusual and a rare Massachusetts Humane Society relic. (VG+). $58. 14292. Hunt, Edward Soper. Weymouth Ways and Weymouth People - REMINISCENCES. Boston . 1907. Reprint 2013. 307p. DJ. 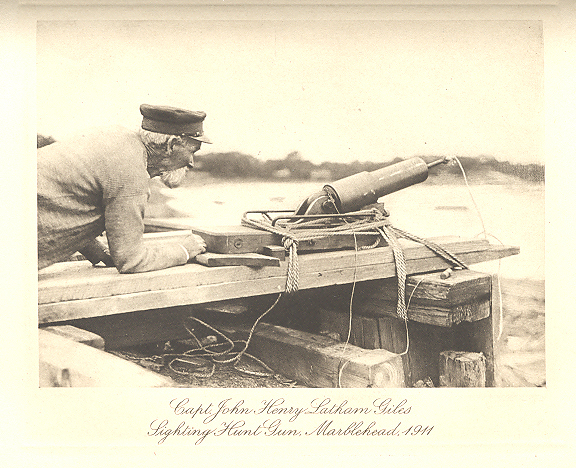 In Edward Hunt’s long and distinguished career, no achievement gained him more satisfaction than his development of a life-saving mortar or “Hunt Gun” adopted by the Massachusetts Humane Society for the rescue of shipwrecked mariners. Later his gun was utilized by the United States Life Saving Service as well, prior to the development of David Lyle’s Bronze “C” gun. In Edward Hunt’s long and distinguished career, no achievement gained him more satisfaction than his development of this life saving system and the lives saved through his efforts. His life-saving gun had a barrel is of bronze, 3 ½” muzzle diameter mounted on an oak base, with three iron carrying handles. This is his memoirs, first published in 1907, which contains chapters describing in detail his work on this early life-saving device. Of particular interest are his descriptions of testing and instruction given to the men at the Humans Society and Life-Saving Service on Nauset Beach on Cape Cod and on Nantucket . (M). $32. 13232. Krug, Gary C. An Award of the Humane Society of the Commonwealth of Massachusetts. Notes on Lifesaving Medals. The Medal Collector Journal. June 1966. Pp. 18-21. 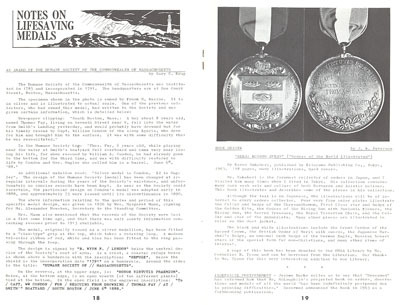 Article in Journal of The Orders and Medals Society of America discusses the events surrounding the issuing of a silver medal for saving of life by the Humane Society to Capt. William Condon for saving life South Boston June 6, 1888. In addition, a silver Congressional medal issued to Stanley Dooley of the U.S. Revenue Cutter Service, issued in 1906, is discussed and pictured as well. Full journal, 32 pages, soft wraps. (VG+). $16. 28423. 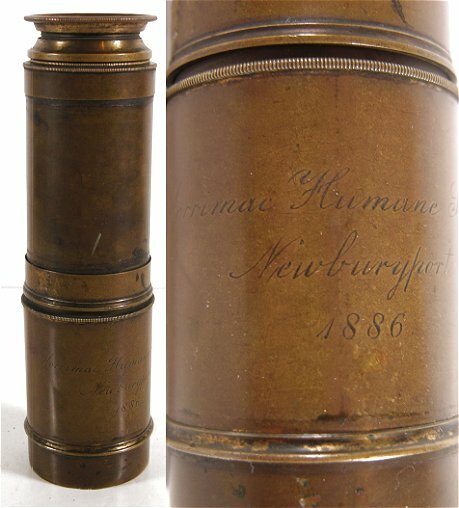 (telescope) “Merrimac Humane Society 1886” Extremely Rare, c.1886, Brass, Two Draw Telescope / Spyglass for use, or given as a premium / life-saving award by The Merrimac Humane Society of Newburyport, Massachusetts. This, original, brass piece measures approx. 6 3/4" long when fully collapsed and 15" long with all 2 draws are extended. It is unsigned by the maker but features a period script engraving on the outermost sun shade that reads "Merrimac Humane Society Newburyport 1886". The optics of the glass appear fine, a bit cloudy but easily restored. The Merrimac Humane Society was founded at Newburyport in 1802 and its stated purpose and operation was similar to the Massachusetts Humane Society and the later United States Life Saving Service. The Merrimac Society maintained a number of "shelter huts" along the deserted stretches of beach on Plum Island to serve as refuges for shipwrecked mariners washed ashore in these desolate areas. We know that the Merrimac Humane Society uses such telescopes to scan the ocean for endangered ships during bad weather. They also awarded Life Saving Medals and cash "Premiums" to those determined to have been instrumental in Life Saving efforts in the region. Like their “sister service” The Massachusetts Humane Society, they also awarded other premiums such as silver cups and it is also possible that this was given as an award as well. This rare piece came to us from a dealer, who obtained it from an un-named Newburyport estate without further historical information. This rare, 19th century life-saving brass telescope is in very good condition. As mentioned above the optics are good. There a few tiny 'dings" un the outermost draw of the spyglass and there is some very light wear to the inner draws but overall it is very well preserved and will display nicely. As expected, there is surface tarnish to the brass surface which will clean-up nicely if the next owner so wishes. A very rare, 19th century Atlantic Coast Life Saving Society Brass Telescope and a fantastic addition to any collection! (VG). $3,200. Reduced $2,766. 20230. 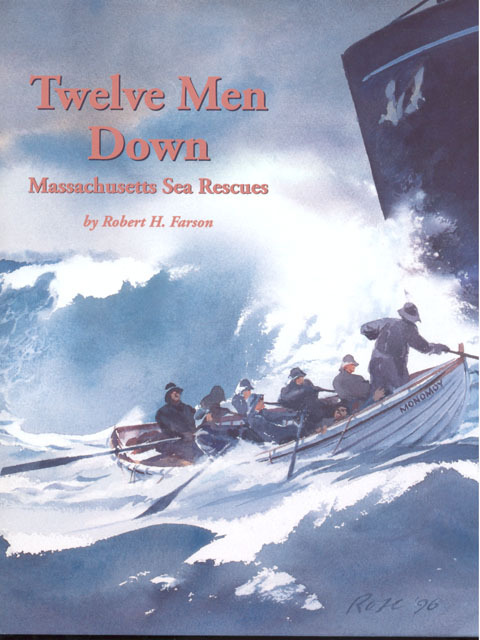 Farson, Robert H., TWELVE MEN DOWN – Massachusetts Sea Rescues. Yarmouth Port.2000. 246p. 191 photos and illustrations. In Colonial Days Massachusetts turned to the sea for her livelihood. With the growth of coastal and deepwater fleets, many trips ended in disaster. The loss of life was so great that in the late 1700’s the Massachusetts Humane Society was formed. Their work up to World War II, and the work of its successor the U. S. Life-Saving Service, are detailed in this wonderful new work. 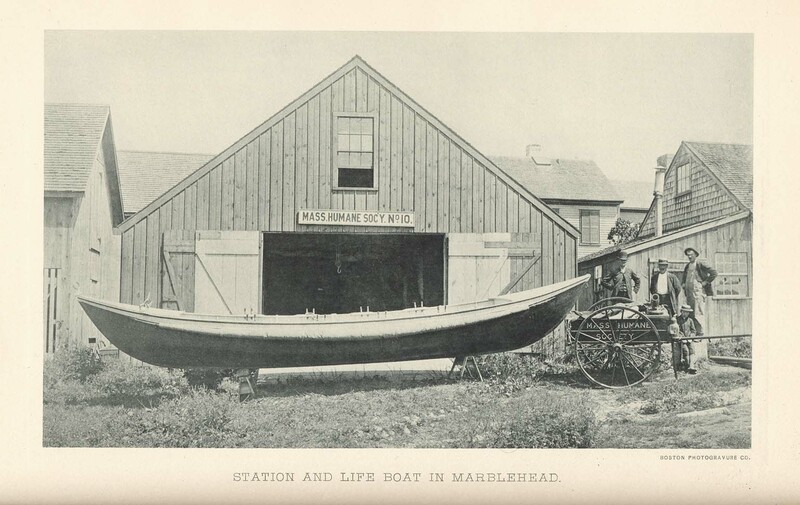 From Martha’s Vineyard and Cuttyhunk, to Nantucket, Cape Cod and up the coast to Salisbury Beach, there were small stations with surfboats and breeches buoy apparatus. This is a book about rescues near the coast by men who rowed small boats into mountainous waves, many in bitterly cold weather. Thousands of sailors were saved by these intrepid men and their story of selfless dedication comes alive in Mr. Farson’s work. Nicely illustrated with numerous vintage photographs. (M). (Published at $36.) Special Purchase Price. $19.95. 7281a,b. Wills, Lois Bailey. WAIT FOR ME. North Quincy , Mass. 1976. 1st. 319p. DJ. A historical novel that takes place in the 1870's and 1880's in New England . The author enthralls the reader with tales of shipwrecks off the coast of Scituate , of the Massachusetts Humane Society, how they operated and were organized, and how they accomplished feats of rescue in the face of raging Atlantic storms. They were farmers, fishermen, and storekeepers but in the face of adversity they became supermen. Includes much about local government and the New England “Town Meeting”. Though a fictional account, the author researched local life and the local life-savers extensively for this account. One of the few books ever written on the Humane Society. (F). $22. 2250. Hallie, Phillip. 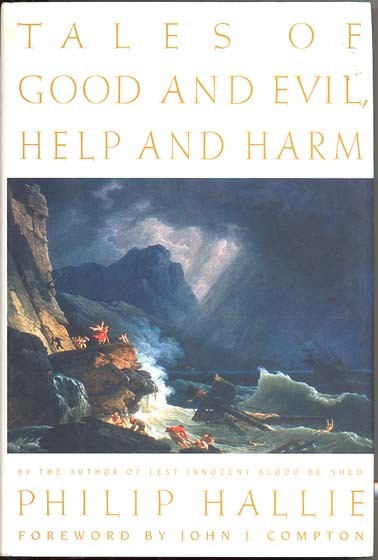 TALES OF GOOD AND EVIL, HELP AND HARM. NY. 1997. 227 p. DJ. Explores the human choice to do help or harm and why some volunteer to help others in need. Of interest to us here is a lengthy chapter devoted to an account of Joshua James, noted life-saver of the Massachusetts Humane Society and later of the Life-Saving Service. The author chronicles in some detail his work and the work of his crews and brings out the tale of a helpful, benevolent human being committed to helping others. Interesting addition to our Joshua James chronicle. (M). $25. 575. [ Commonwealth of Massachusetts ] House No. 35. Furnishing Life Boats for the Coast of Massachusetts. Ordered that...be a committee to consider and report...what measures should be taken...to furnish Life Boats for certain dangerous parts of our coast...." January 28, 1840 . 4pp. Discusses the work of the Humane Society, various successful rescues and resolves to provide additional moneys for the purpose of furnishing Life-Boats along the Massachusetts coast. Disbound, clean. $38. 3121. HUMANE SOCIETY OF THE COMMONWEALTH OF MASSACHUSETTS ANNUAL REPORT 1885. Boston. 80p. Original stiff wraps. Includes listings of Officers and Trustees, Officers past and present, List of Life-Boats and Gun Stations, River and Harbor Stations, Huts of Refuge, List of Awards 1786 to June 1885, List of Wrecks and Life Boat Service 1881-1885, Instructions to Captains [of stations], Directions for Restoring the Apparently Drowned, Instructions for Saving Drowning Persons by Swimming to their Relief, Treatment of Frost-Bite, and more. Includes a nice engraved plate of the surf-boat at Gay-Head on Martha’s Vineyard. A tremendous amount of information about this important early predecessor to the Life-Saving Service. Contents clean, tight, original boards present but detached, spine detached, deteriorated. (G+). $158. 7112. THE HUMANE SOCIETY OF THE COMMONWEALTH OF MASSACHUSETTS . REPORT 1892. Boston . 1892. 96p. Soft wraps (blue). Includes listings of Officers and Trustees, Officers past and present, List of Life-Boats and Gun Stations, River and Harbor Stations, Life Boat Service 1891-92, List of Awards 1891-92, General Summary of the Work of the Society, Equipment of Stations, Instructions to Captains [of stations], Directions for Restoring the Apparently Drowned, Charter, Statutes, By-Laws, and a detailed List of Awards 1786 - 1891. A tremendous amount of information about this important early predecessor to the Life-Saving Service. Clean, tight. (VG). $138. 5217. Massachusetts Humane Society. STATEMENT OF PREMIUMS AWARDED BY THE TRUSTEES OF THE HUMANE SOCIETY OF MASSACHUSETTS . FROM JULY 1817 TO APRIL 1829, EXTRACTS FROM THE CORRESPONDENCE, SCHEDULE OF THE FUNDS, AND A LIST OF THE OFFICERS AND MEMBERS, WITH AN APPENDIX. Boston . 1829. 60p. Soft wraps. Very important, early reference on the subject, packed with information on awards, accounts of rescues, listing of officers and members, an account of the origins of the Society, and more. An important early account of this renown predecessor to the Life-Saving Service. Signature bound, overall age toning, chipping to edges. (VG-). $118. 11326. BOSTON BOARD OF TRADE. Second Annual Report of the Government, Presented to the Board at the Annual Meeting on the 16th of January, 1856. Boston. 172p. Embossed wraps. Substantial report on the maritime industry in Boston, includes detailed Report of Standing Committee of Inquiry into Causes of Shipwreck, as well as a lengthy Statement of the Locations of Life-boats, Mortar Stations, and Huts of Refuge on the Coast of Massachusetts under the care of the "Massachusetts Humane Society". Report includes over 60 stations with description of equipment at each, and the individual in charge. Report also includes early maritime information for the area including Statistical tables for Imports and Exports, foreign and domestic; Difference in expense for repairing vessels in Boston and New York; Transport of Merchandise; Clearing House system of English Railways; Statistics of Trade and Commerce in Boston; Review of The Boston Market for the Year 1855, with prices current; Commercial Regulations and Usages for the Port of Boston. Clean, tight, light wear to wraps. Rare early report. (VG). $48. 27233. (mounted photo) Massachusetts Humane Society, “Point Shirley Surf Boat”, Winthrop, Mass c.1900. 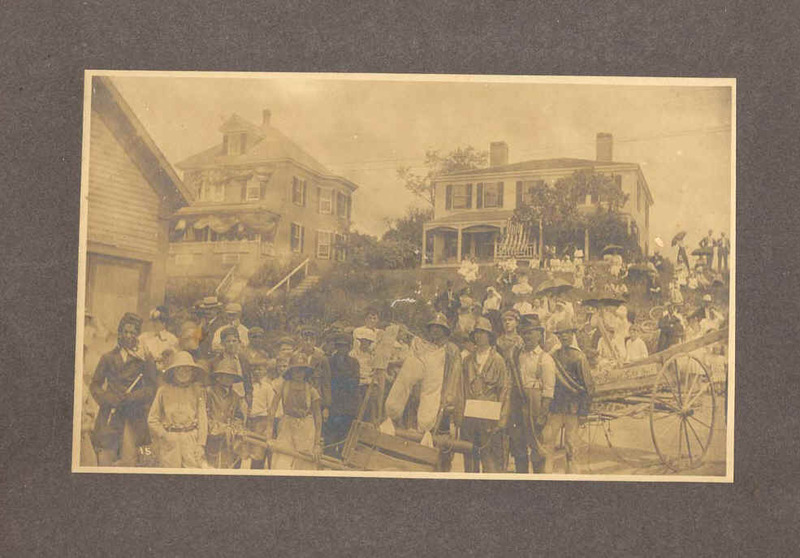 Early mounted photo by Harry W. Brown of Winthrop Beach shows what may be Massachusetts Humane Society members participating in a parade pulling a crude float lettered “Point Shirley Surf Boat” and “life boat service and crew”. Some men are dressed in so-westers while others are in various costumes. 4 ½” x 8” image on 9” x 11” mount is clean and clear, a nice image. Residents’ summer dress and American Flags are flying leaning me to believe this may be a 4th of July celebration. Light wear to mount edges only. (VG+). $128. 1174. [life ring] Merrimack Humane Society Canvas Life Ring c.1900-1940's. Extremely scarce sewn canvas life ring measures a full 28 inches in diameter and is in uncommonly good condition, complete with original grab rope. Lettered in black “Merrimack Humane Society”. The Massachusetts Humane Society was organized in 1787 and is generally considered to be the predecessor to the U. S. Life-Saving Service. The Merrimac Humane Society, organized on the 10th of Aug., 1802, was, like its sister organization, one of the first organizations to establish and supply early “Life Saving Stations” in the United States and from their very beginning awarded “Premiums“ for acts of heroism involving the saving of life at sea and along the Northern Massachusetts and southern New Hampshire Coast. 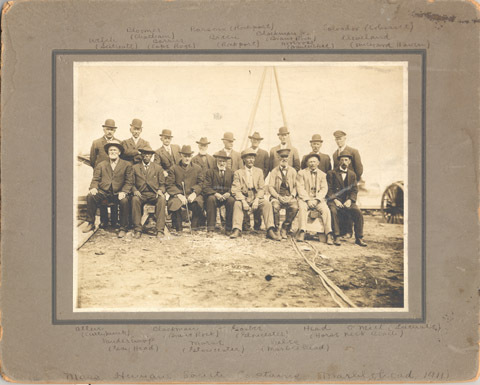 Even after the establishment of the U.S. Life Saving Service in the post Civil War years, the Merrimack Humane Society continued to provide support and equipment to its members who constituted a "coastal volunteer crew" as well as maintaining "shelter huts" along deserted stretches of the coast of Plum Island for the use of shipwreck victims who has washed ashore far from human habitations. Besides providing equipment and training of volunteer Life-Saving crews along the Massachusetts coast, the Humane Societies awarded Life Saving Medals and cash "Premiums" to those who risked their own lives to help passengers and crewmembers of shipwrecks in their area. Shortly after its organization, application was made to the Legislature for an act of incorporation for the Merrimac Humane Society, and this was granted on the 7th of March, 1804. It is still in force. Expected wear, sections intact but becoming loose. (VG-). $595. 1088. (photo) Massachusetts Humane Society Swimming Instructors c.1920’s. 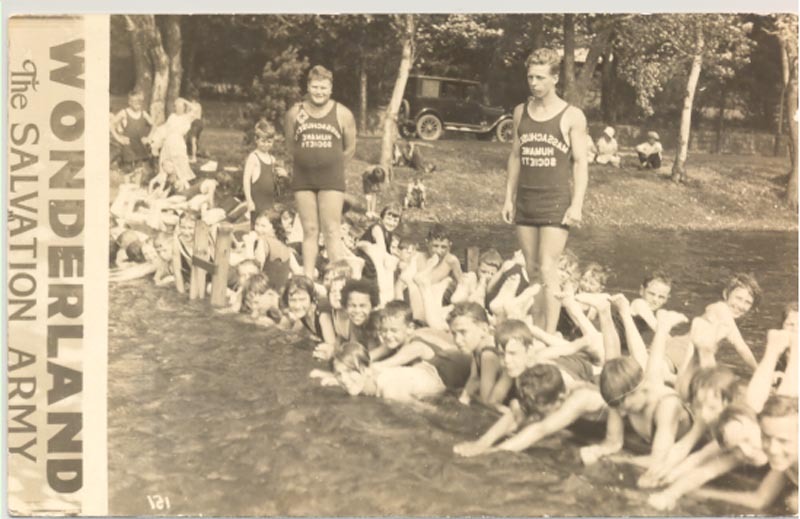 Wonderful early view shows young Massachusetts Humane Society swimming instructors with their students on a beach. Clear view measures 3 ½” x 5 ½” on postcard paper, dating from 1920-1945 based on stamp box, 1920’s based on auto in background. Clean, only very light wear, not postmarked. (VG+). $64. RA-407. THE HUMANE SOCIETY OF THE COMMONWEALTH OF MASSACHUSETTS . REPORT 1888. Boston . 1888. 80p. 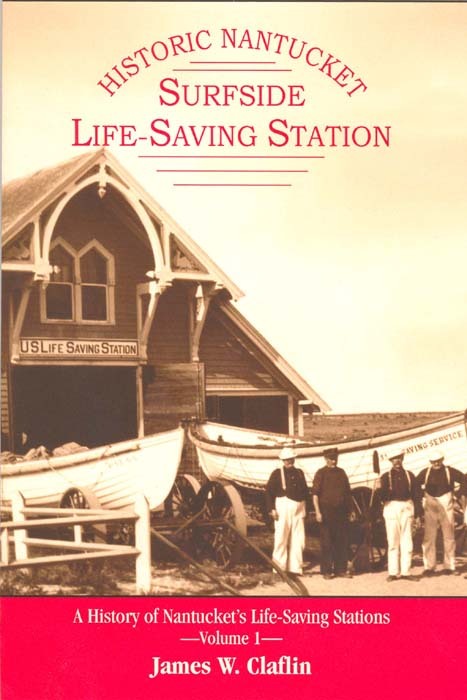 Wonderful report, includes listings of Officers and Trustees, Officers past and present, List of Life-Boats, Gun Stations and Huts of Refuge, List of Awards 1786-1888, 1885-1888, Life-Boat Service 1885-1888, Instructions to Captains of the Life-Saving Stations, General Summary of the Work of the Society, Equipment of Stations, Directions for Restoring the Apparently Drowned, and more. A tremendous amount of information about this important early predecessor to the Life-Saving Service. Includes beautiful photogravure illustrations of Marblehead station and life-boat and medal awards. Contents clean and tight, soft wraps nicely intact, some soiling. (VG). $225. 27268. Claflin, James W. HISTORIC NANTUCKET: SURFSIDE LIFE-SAVING STATION - A History of Nantucket’s Life-Saving Stations. Volume I. Worcester. 2007. 79 p. Soft wraps. Special edition, signed and numbered of 500, includes pasted in wood chip from Surfside Life-Saving Station. Historic Nantucket: Surfside Life-Saving Station is one of a continuing series of booklets that tell the story of historic lighthouses, lightships and life-saving stations along the New England Coast . The Nantucket coastline has long been one of the most dangerous areas along the New England coast. Over the years four life-saving stations and eight Massachusetts Humane Society stations stood guard over the island’s shores, standing ready to combat the seas in an effort to rescue shipwrecked mariners in their time of need. With thousands of vessels plying the dangerous waters, the chance of a shipping disaster was always great. Hundreds of shipwrecks did indeed occur off the coast with startling losses. Using descriptive text and a variety of vintage images from private as well as museum collections, we get a rare glimpse into the history of the area and the lives of these dedicated government men and women. Author James Claflin combines an extensively researched text with his exquisite collection of vintage photographs, many previously unpublished, to tell the story of this important piece of history. (M). $8.95. 27233. (mounted photo) Massachusetts Humane Society, “Point Shirley Surf Boat”, Winthrop , Mass c.1900. Early mounted photo by Harry W. Brown of Winthrop Beach shows what may be Massachusetts Humane Society members participating in a parade pulling a crude float lettered “Point Shirley Surf Boat” and “life boat service and crew”. Some men are dressed in so-westers while others are in various costumes. 4 ½” x 8” image on 9” x 11” mount is clean and clear, a nice image. Residents’ summer dress and American Flags are flying leaning me to believe this may be a 4th of July celebration. Light wear to mount edges only. (VG+). $128. 5393c. A DISCOURSE, BEFORE THE HUMANE SOCIETY, OF THE COMMONWEALTH OF MASSACHUSETTS . Thomas Danforth. Boston . June 14, 1808. 39pp. In addition to sermon, chronicles a number of rescues, property and expenses of the Society, premiums awarded as well as a listing of members and officers. (G). $58. 2104. A DISCOURSE DELIVERED IN THE CHAPEL CHURCH , BOSTON , BEFORE THE HUMANE SOCIETY OF MASSACHUSETTS . Henry Colman. Boston . June 9, 1812. 32pp. In addition to sermon, chronicles property and expenses of the Society, premiums awarded as well as a listing of members and officers. (G). $58. 2105b. A DISCOURSE DELIVERED BEFORE THE HUMANE SOCIETY AT THEIR ANNIVERSARY, MAY 1817. William Tudor, JUN. Boston. 1817. 64pp. In addition to sermon, includes a detailed account of the origin and organization of the Massachusetts Humane Society, property and expenses of the Society, premiums awarded as well as a listing of members and officers. (G). $68. 21458c,d. Johnson, William Wallace. THE UNITED STATES LIFE-SAVING SERVICE. New England Magazine. April 1890. (disbound) pp. 134-145. Quite a nice article detailing the history and work of the Life-Saving Service. Beginning in the 1700’s with the Massachusetts Humane Society, the author discusses the early years and into the 1880’s. Includes nine fine early engravings and photo images including a fine image of Superintendent Sumner I. Kimball, day signals, beach patrolman, beach apparatus cart, Peaked Hill Bar station on Cape Cod , and more - quite a good article. $28. 557a. Giambarba, Paul. SURFMEN AND LIFESAVERS. Centerville . 1967. 1st. 123p. DJ. Written for young people, this illustrated volume presents a history of the operations and heroes of the Massachusetts Humane Society and the U. S. Life-Saving Service from its inception on into the Coast Guard years. Profusely illustrated with detailed diagrams and illustrations by the author. (VG). $36 / Your price $21.60. 21268b,c. Piper, Horace L., THE LIFE-SAVING SERVICE - Inception, Development, and Achievements. The Technical World. September 1904. Pp. 1-9. Rarely found article details at some length the origins of the Life-Saving Service. Includes a mention of the Mass. Humane Society as well as a great deal on the early growth of the service. Includes great photos of an early metallic life-car and mortar, early stations and surf-boats, wrecks, lifeboats, crews and more. Nice cover image of Long Island shipwreck. Discussion also includes the various methods employed to reach stranded mariners, heroic rescues and more. Very interesting article, great images. Full issue, contents clean and tight, wraps intact, some soiling. (VG). $48/ Your price $28.80. 21177. Racine, Frank M., NOTES ON THE MEDALS AND AWARDS OF THE MASSACHUSETTS HUMANE SOCIETY. nd. c.1977. 70p. Spiral bound facsimile. The Massachusetts Humane Society was organized in 1787 and is generally considered to be the predecessor to the U. S. Life-Saving Service. Many of the society’s manuscript records were destroyed in the Boston Fire of 1872, making any information quite scarce and desirable. In addition, information on awards and medals awarded by the Society is extremely scarce. This manuscript written some years ago by Mr. Racine touches this subject as none before have done. Medals in various designs have been issued by the Society since 1789 but numerous questions persist as to the various designs and variations, the reasons for certain medals such as the Trustee Medals, and more. Included are the Dissertation Medals, Trustees’ Medals, the Centennial Cup, Gols Handmade Award Medals, Silver Handmade Medals, , Silver plate awards, Wyon shipwreck medals, and more. This is a most interesting look at the subject and a must for anyone interested in life-saving awards. $19. 2587. Spears, John R., HEROES OF THE SURF. [disbound from Outlook Magazine, 1903.] 7p. Detailed history of the life-saving services in the United States, beginning in 1786 with the Massachusetts Humane Society. The author carries the discussion through the early lifeboats placed on Rockaway Beach on Long Island and government efforts there, to more established services added in the 1870’s and finally to the present  day. Includes four nice engraved illustrations. (VG). $26. 27290. 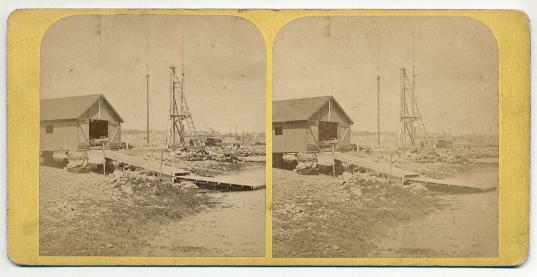 (stereoview) Massachusetts Humane Society Boathouse, Oak Bluffs, Martha’s Vineyard, Mass. c.1870’s by S. F. Adams, Oak Bluffs, Mass. Early view shows what we believe to be a boathouse of the Massachusetts Humane Society at Oak Bluffs. The building is not labeled but inside can be clearly seen a lifeboat behind the two chairs. In the background can be seen a schooner’s masts at the wharf. Clean clear view on yellow mount. Unusually nice early view. (VG+). $144. 20362. Scituate Historical Society, SCITUATE . 2000. 128p. 200 vintage photographs. Published as part of the Images of America series by Arcadia Publishing. This is another volume in a series of photographic histories along the coasts of the United States . This compact volume features over 200 early photographs dating from the 1870’s through the 1940’s tracing the history of this most interesting coastal town. As expected, a great deal of the vintage photos and text chronicle the shipwrecks and Life-Saving Service along this stretch of coastline, as well as Scituate Lighthouse, and much more. Most interesting are the Mass. Humane Society and Minot ’s Ledge Light images and information. Wonderful early photographs. (M) $18.99. 4360. U.S. Coast and Geodetic Survey. UNITED STATES COAST PILOT. Atlantic Coast . Section A. St. Croix River to Cape Cod . Second Edition. 1927. 356pp. Covers soiled but tight. With laid-in supplement for 1928. Includes listing of Coast Guard and Mass. Humane Society Stations, Instructions to Mariners in case of Shipwreck, etc. (FR) $24. 8373c. U.S. Coast and Geodetic Survey. UNITED STATES COAST PILOT. Atlantic Coast - Part III. Cape Ann to Point Judith. (1893) First Edition. Hard cover. 146p. Less the fold-out chart this early volume includes a listing of the U. S. Life-Saving Stations, Mass Humane Society Stations and a complete table of lighthouses and fog signals. Unusually clean, tight, with marbled page edges. Covers only lightly worn, quite clean. Scarce early USGS pilot. (VG). $56. 8373b. U.S. Coast and Geodetic Survey. UNITED STATES COAST PILOT. Atlantic Coast - Part III. Cape Ann to Point Judith. (1912) Third Edition. Hard cover. 166p. Includes two large fold-out charts including wonderful large 27”w x 20”h chart of the area, clean, crisp [worth the price alone]. Included is a listing of the U. S. Life-Saving Stations, Mass Humane Society Stations and a complete table of lighthouses and fog signals. Light page browning from age, otherwise contents clean and tight. Covers some soiling, front hinge becoming loose. Scarce early USGS pilot. (G). $64. 2488. Kobbe, Gustav. HEROES OF PEACE – A Series of Authentic Instances of Heroism in Every-Day Life. Babylon . c.1920. Inscribed to “Gustak Kobbie 2nd from his Grandmother 1924”. 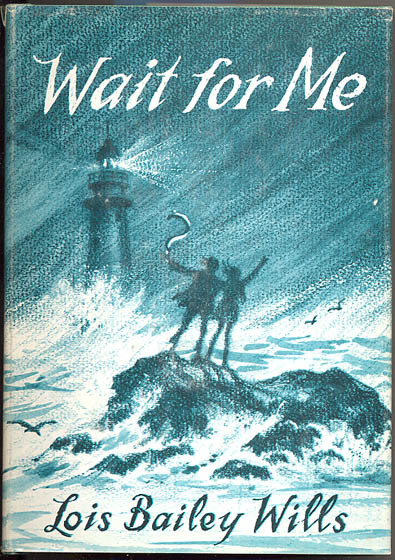 Special work, self published by the author, which includes five of his past works published in The Century Magazine: HEROISM IN THE LIGHTHOUSE SERVICE. A Description of Life on Matinicus Rock. The Century Magazine. 1897. 12p. Illustrated with 12 very nice engravings, this article describes the life of Abby Burgess and her family at the Matinicus Rock Light Station including her heroism in the winter gale of 1856. Later Abby married Captain Grant and continued her service at Matinicus and later at White Head Light. Most interesting. Illustrations include Keeper Frederick T. Hatch, the only recipient of the Gold Bar for Heroism, Abby Burgess, and more; HEROES OF THE LIFE-SAVING SERVICE" The Century Magazine. c.1898. 8p. Excellent descriptions of the life of the life-savers and the work that they perform at various stations across the country. With a nice full-page plate of “The Life Line” by Winslow Homer; EVERY-DAY HEROISM. 7 p.; HEROES OF THE RAILWAY SERVICE. 7 p.; HEROES OF PEACE – Volunteer Life-Savers. 7 p. Includes the volunteer life-savers of the Massachusetts Humane Society, Life Saving Service crews, and more. A most interesting piece especially bound by the author himself. Some wear, slightly brittle, one plate loose. (G+). $164. C24128. THE HUMANE SOCIETY OF THE COMMONWEALTH OF MASSACHUSETTS . REPORT 1917-1918. Boston . 1918. 94p. Excellent report includes large fold-out map of the “Life Saving Stations of the Humane Society”. In addition, includes of all sixty five life saving stations and boat houses with their keepers, List of Persons to Whom Awards were Granted 1916 to 1918, sample award certificates, Instructions to the Captains of the Life Saving Stations [includes apparatus drills and operation, Instructions to Seamen, Instructions for Saving Drowning Persons, Restoring Persons Apparently Drowned, General Summary of the Work of the Society, Equipment of Stations, Act of Incorporation, By Laws, List of Officers and Trustees of the Society, List of Members, a detailed List of Awards Granted 1786 – 11918. A tremendous amount of information about this important early predecessor to the Life-Saving Service. (Photocopy $20). 2282. Julian, R.W. MEDALS OF THE UNITED STATES MINT, THE FIRST CENTURY, 1792-1892. El Cajon, Ca: The Token and Medal Society, Inc. 1977 Cloth. No Dust Jacket Issued. First Edition. Quarto. 424 p., heavily illustrated. This is the essential reference for collectors of United States Mint Medals struck during the period. The work describes and illustrates United States Life Saving Medals, Massachusetts Humane Society, Shipwreck commemorative medals, Military & Naval Medals, Mint and Treasury Medals, Assay Commission pieces, Indian Peace Medals, Bache Coast Survey medal, Presidential Medals, Personal Medals, Commemorative Medals, School Medals, Agriculture, Mechanical, Scientific and Professional Medals , Marksmanship Medals, Religious and Fraternal Medals, and more. Includes information on the issuance and minting of the medal type, sizes, counterfeits, rarity, background, metal content and much more. An essential reference on the subject. (M). $68 net. 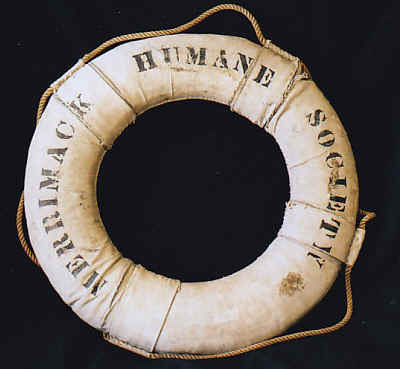 The Merrimac Humane Society, like its sister organization The Massachusetts Humane Society, was one of the first organizations to establish and supply early “Life Saving Stations” in the United States and from their very beginning awarded “Premiums“ for acts of heroism involving the saving of life at sea and along the Northern Massachusetts and southern New Hampshire Coast. Even after the establishment of the U.S. Life Saving Service in the post Civil War years, the Merrimack Humane Society continued to provide support and equipment to its members who constituted a "coastal volunteer crew" as well as maintaining "shelter huts" along deserted stretches of the coast of Plum Island for the use of shipwreck victims who has washed ashore far from human habitations. Besides providing equipment and training of volunteer Life-Saving crews along the Massachusetts coast, the Humane Society awarded Life Saving Medals and cash "Premiums" to those who risked their own lives to help passengers and crewmembers of shipwrecks in their area. The considerations which led to the original institution of the Merrimack Humane Society, more than three-quarters of a century ago, are stated in its charter to be "promoting the cause of humanity by pursuing such means from time to time as shall have for their object the preservation of human life and the alleviation of its miseries," and are more fully set forth in the pamphlet published by the society at the time of its formation. Application was subsequently made to the Legislature for an act of incorporation, and this was granted on the 7th of March, 1804, and is still in force. "The Society have erected five beacons along the coast of Plum Island , indicating the direction to the nearest places of shelter. A cannon has been placed in charge of the keeper of the Light. house, which is kept in readiness to give the alarm at night in the event of any disaster on the beach; and if in the daytime, a white .flag with black ball in the centre, the signal of distress will be hoisted at the flagstaff, which the Society has erected near the Light-houses. A superior life-boat in good order is stationed at Plum Island near the lighthouses, and a small boat near Frog Pond, to be used in cases of disaster. A chest of clothing to supply the wants of shipwrecked seamen bas been placed in the care of Mr. Emerson at the Farm House on the Bluffs, and one also at Mr. Stevens's half-way house on Plum Island. Grappling irons have been deposited near the Essex Merrimack bridge in care of Dr. Hixon; at Paul A. Merrill's store, 171 Merrimac street ; at the office of the draw-tender of the Newburyport bridge; at Isaac Poor's store, 93 Water street ; and a sweep and two gaffs at the police station in the Market House. The committee appointed to enquire into the condition of the Life Saving Property belonging to the Society, have recently examined it. They report that they have caused to be made a list of the same, and where it is placed, and that it is all in order and in good working condition, and that no further outlay will be required upon it for some time to come...."
28423. (telescope) “Merrimac Humane Society 1886” Extremely Rare, c.1886, Brass, Two Draw Telescope / Spyglass for use, or given as a premium / life-saving award by The Merrimac Humane Society of Newburyport, Massachusetts. This, original, brass piece measures approx. 6 3/4" long when fully collapsed and 15" long with all 2 draws are extended. It is unsigned by the maker but features a period script engraving on the outermost sun shade that reads "Merrimac Humane Society Newburyport 1886". The optics of the glass appear fine, a bit cloudy but easily restored. The Merrimac Humane Society was founded at Newburyport in 1802 and its stated purpose and operation was similar to the Massachusetts Humane Society and the later United States Life Saving Service. The Merrimac Society maintained a number of "shelter huts" along the deserted stretches of beach on Plum Island to serve as refuges for shipwrecked mariners washed ashore in these desolate areas. We know that the Merrimac Humane Society uses such telescopes to scan the ocean for endangered ships during bad weather. They also awarded Life Saving Medals and cash "Premiums" to those determined to have been instrumental in Life Saving efforts in the region. Like their “sister service” The Massachusetts Humane Society, they also awarded other premiums such as silver cups and it is also possible that this was given as an award as well. This rare piece came to us from a dealer, who obtained it from an un-named Newburyport estate without further historical information. 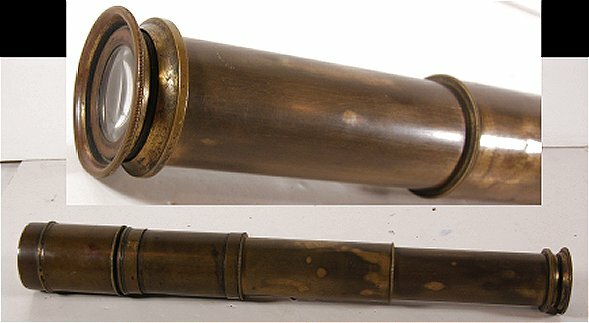 This rare, 19th century life-saving brass telescope is in very good condition. As mentioned above the optics are good. There a few tiny 'dings" un the outermost draw of the spyglass and there is some very light wear to the inner draws but overall it is very well preserved and will display nicely. As expected, there is surface tarnish to the brass surface which will clean-up nicely if the next owner so wishes. A very rare, 19th century Atlantic Coast Life Saving Society Brass Telescope and a fantastic addition to any collection! (VG). $3200. 5220a. AN ADDRESS TO THE MEMBERS OF THE MERRIMACK HUMANE SOCIETY, AT THEIR ANNIVERSARY MEETING, IN NEWBURYPORT , SEPT 3, 1805. Daniel Appleton White. Newburyport . 1805. Third Ed. 35pp. Marbled soft wraps, intact, slight chips. Interesting discourse discusses the work of the society [Formed to augment the work of the Mass. Humane Soc. in the North Shore area] and particularly methods of restoring persons from drowning and apparent death. Includes mention of premium to "Mr Lowell, keeper of the lights on P. Island for assisting in saving the lives of a number of persons from a vessel wrecked" and "Capt. Gage for his humane exertions in saving the lives of 200 persons from the wreck of the ship Sarah." [for which he received the sum of $31]. (FR-G). $95. 5338. AN ADDRESS TO THE MEMBERS OF THE MERRIMACK HUMANE SOCIETY AT THEIR ANNUAL MEETING IN NEWBURYPORT , SEPT. 2, 1806, by Samuel Cary. Newburyport . 1806. 46pp. Interesting discourse discusses the work of the society and particularly methods of restoring persons from drowning and apparent death. Speaks of the use of electricity to "excite the heart" and the use of bellows to inflate the lungs. Discusses the erection of Huts of Refuge, with complete list of members and funds expended. Wraps intact, slight moisture staining, contents very clean, tight. Nice copy. (G). $100. 5222b. DISCOURSE DELIVERED BEFORE THE MERRIMACK HUMANE SOCIETY AT THEIR ANNIVERSARY MEETING, SEPTEMBER 1, 1812. John Andrews, A,M., Newburyport , 1812. 32pp. Soft front wrap intact. Provides 'solemn' observations and reflections on the influence of humane institutions. Includes statement of funds, premiums awarded and list of stations and huts including those possessing "Inflators, Fumigators, Electrical Machines and Grappling Irons. Early work. (G). $48. 8225. A SERMON DELIVERED BEFORE THE MEMBERS OF THE MERRIMACK HUMANE SOCIETY, AT THEIR ANNIVERSARY MEETING, IN NEWBURYPORT , SEPT. 4, 1804. Joseph Dana. Newburyport . 1804. 30pp. Interesting discourse discusses the work of the society [Formed to augment the work of the Mass. Humane Soc. in the North Shore area] and particularly methods of restoring persons from drowning and apparent death. Includes statement of funds, premiums awarded and work performed on stations and huts. Rare early report. (G+). $68. C7188. DISCOURSE DELIVERED BEFORE THE HUMANE SOCIETY, IN BOSTON : DELIVERED ON THE SECOND TUESDAY OF JUNE, 1787. By John Lathrop, D.D. Boston . 1787 by E. Russell. 47pp. Includes fine discourse on the purposes and work of the Society, as well as a short history, listing of members and the treatment of persons apparently dead from drowning. Lathrop relates the case of a convicted robber who was resuscitated after hanging. A very scarce and quite early work. (Photocopy $10.40). C5559. Chapter VIII. AN ACT TO INCORPORATE AND ESTABLISH A SOCIETY BY THE NAME OF THE HUMANE SOCIETY OF THE COMMONWEALTH OF MASSACHUSETTS . [Contained within] ACTS AND LAWS PASSED BY THE GENERAL COURT OF MASSACHUSETTS: Begun and held at Boston, in the County of Suffolk, on Wedbesday the twenty-sixth Day of May, Anno Domini, 1790; and from thence continued by Adjournment to Wednesday the Twenty-eighth Day of January following. Passed February 17,1791 . Printed by Thomas Adams. 1p. Landmark initial Act establishing the Massachusetts Humane Society, upon which all succeeding organized life-saving efforts in the United States were based. Act provides for establishment and incorporation., affixes powers and duties and provides for the establishment of regualtions within the Society and the appointment of officers. Also establishes that the first meeting of the Society shall be held in Boston . RARE. IMPORTANT WORK. (Photocopy $1). C9408. DISCOURSE ON THE SUBJECT OF ANIMATION DELIVERED BEFORE THE HUMANE SOCIETY OF THE COMMONWEALTH OF MASSACHUSETTS JUNE 11, 1792 . By John Bartlett. Boston . 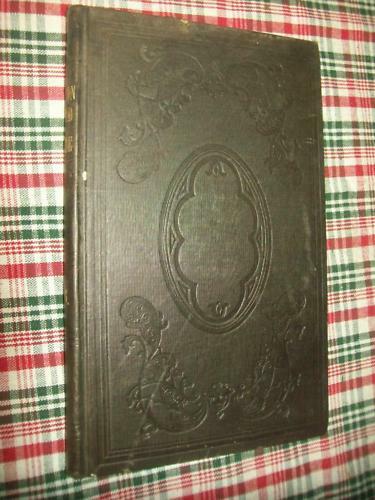 1792 by Isaiah Thomas and Ebenezer T. Andrews. 40pp. Includes fine discourse on the purposes and work of the Society, as well as a short history of this and other similar societies, the mechanics of breathing, and the treatment of persons apparently dead from drowning. Also contains the Act of Incorporation, Rules and Regulations, Catalogue of Members, and more. Includes a listing of premiums awarded for rescues. A very scarce and quite early work. (Photocopy $8). C7365. DISCOURSE DELIVERED BEFORE THE HUMANE SOCIETY OF THE COMMONWEALTH OF MASSACHUSETTS , AT THE SEMI-ANNUAL MEETING, ELEVENTH OF JUNE, 1793. By John Clarke. Boston . 1793 by Belknap and Hall. 36pp. Includes fine discourse on the purposes and work of the Society, as well as a short history, listing of members and the treatment of persons apparently dead from drowning. Clark also relates the case of a fifteen year old youth who was resuscitated after drowning. Includes a listing of premiums awarded for rescues. A very scarce and quite early work. (Photocopy $7.20). C9427. DISCOURSE DELIVERED BEFORE THE HUMANE SOCIETY OF THE COMMONWEALTH OF MASSACHUSETTS AT THE SEMIANNUAL MEETING JUNE 10, 1794 . By Thomas Barnard. Boston . 1794 by Joseph Belknap printer. 25pp. Includes a fine discourse on the purposes and work of the Society. Also includes a Catalogue of Members of the Humane Society, letters and correspondence describing rescues performed during the year, listing of premiums awarded for rescues during the year, and more. A very scarce and quite early work. (Photocopy $5.). C9428. DISCOURSE DELIVERED BEFORE THE HUMANE SOCIETY OF THE COMMONWEALTH OF MASSACHUSETTS 9th JUNE, 1795 . By John Brooks. Boston . 1795 by T. Fleet printer. 32pp. Includes a fine discourse on the purposes and work of the Society and recent revolutions in the field of medicine. Also includes letters detailing the erection of two Huts of Refuge constructed on Nantucket Island . 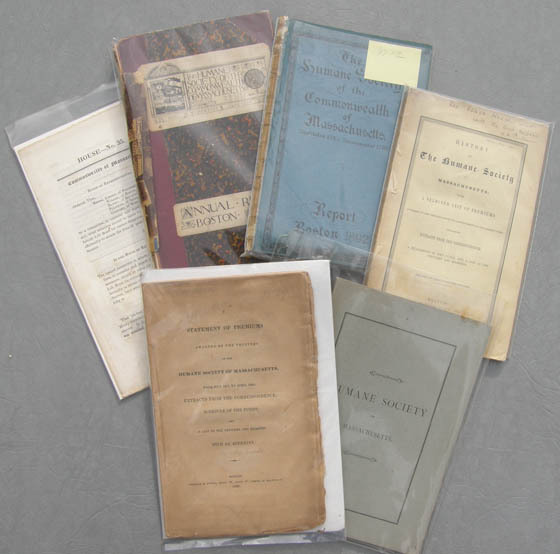 Also includes a Catalogue of Members of the Humane Society, letters and correspondence describing rescues performed during the year, listing of premiums awarded for rescues during the year, Methods of Treatment for those Apparently Drowned, and more. A very scarce and quite early work. (Photocopy $6.40.). C9426. DISCOURSE DELIVERED BEFORE THE HUMANE SOCIETY OF THE COMMONWEALTH OF MASSACHUSETTS AT THEIR SEMIANNUAL MEETING JUNE 14th, 1796 . By Chandler Robbins. Boston . 1796 by Thomas. Fleet printer. 36pp. Includes a fine discourse on the purposes and work of the Society and recent revolutions in the field of medicine. Also includes a Catalogue of Members of the Humane Society, letters and correspondence describing rescues performed during the year, listing of premiums awarded for rescues during the year, funds spent in the erection and repair of Huts of Refuge, Methods of Treatment for those Apparently Drowned, and more. A very scarce and quite early work. (Photocopy $7.20.). C9425. DISCOURSE DELIVERED BEFORE THE HUMANE SOCIETY OF THE COMMONWEALTH OF MASSACHUSETTS AT THEIR SEMIANNUAL MEETING JUNE 12th, 1798 . By William Walter. Boston . 1798 by John & Thomas. Fleet printer. 48pp. Includes a fine discourse on the purposes and work of the Society and on the human condition. Also contains the Act of Incorporation of the Humane Society, Rules and Regulations, Methods of Treatment for those Apparently Drowned. Also includes a Catalogue of Members of the Humane Society, letters and correspondence describing rescues performed during the year, listing of premiums awarded for rescues during the year, and more. A very scarce and quite early work. (Photocopy $9.60.). C9424. DISCOURSE DELIVERED IN THE CHURCH IN BRATTLE STREET IN BOSTON , TUESDAY JUNE 11TH, 1799 , BEFORE THE HUMANE SOCIETY OF THE COMMONWEALTH OF MASSACHUSETTS . By Isaac Hurd. Boston . 1799 by John & Thomas. Fleet printer. 23pp. Includes a fine discourse on the purposes and work of the Society and on the human condition. Also contains a listing of premiums awarded for rescues during the year and criteria for such, Catalogue of Officers of the Humane Society, Summary of Methods of Treatment for those Apparently Drowned, and more. A very scarce and quite early work. (Photocopy $4.60.). C5219. MR. THATCHER'S DISCOURSE BEFORE THE [ Massachusetts ] HUMANE SOCIETY. Boston . June 10, 1800 . 31pp. Discourse extols the virtues of the Society and its members and the work that they perform. Includes a complete list of members, a listing of premiums awarded for 1799-1800, as well as a statement of funds. Very early work. (Photocopy $7.20). C9423. A SERMON PREACHED BEFORE THE HUMANE SOCIETY OF THE COMMONWEALTH OF MASSACHUSETTS AT THEIR SEMIANNUAL MEETING JUNE 9th, 1801 . Jedidiah Morse. Boston . 1801 by John & Thomas. Fleet printer. 53pp. Includes a fine discourse on the purposes and work of the Society and on the human condition. Also contains extensive letters and correspondence describing rescues performed during the year, listing of premiums awarded for rescues during the year, funds spent in the repair of Huts of Refuge, The Resuscitative Process and Methods of Treatment for those Apparently Drowned, and more. A very scarce and quite early work. (Photocopy $10.60.). C5394. A DISCOURSE DELIVERED BEFORE THE HUMANE SOCIETY OF THE COMMONWEALTH OF MASSACHUSETTS AT THEIR SEMI-ANNUAL MEETING, JUNE 8, 1802 . Eliphalet Porter. Boston . 1802. 46pp. No wraps. Includes information relative to the construction of lifeboats of the Royal Humane Society, a schedule of huts erected for the preservation of shipwrecked seamen, statement of premiums awarded, etc. Nice early work. (Photocopy $10). C555. Freeman, James. A DESCRIPTION OF THE EASTERN COAST OF THE COUNTY OF BARNSTABLE, FROM CAPE COD, OR RACE POINT...TO CAPE MALEBARRE, OR THE SANDY POINT OF CHATHAM....POINTING OUT THE SPOTS ON WHICH THE TRUSTEES OF THE HUMANE SOCIETY HAVE ERECTED HUTS, AND OTHER PLACES WHERE SHIPWRECKED SEAMEN MAY LOOK FOR SHELTER. October 1802. By a Member of the Humane Society. Boston . 1802. 15pp. Very scarce, one of the first works to describe the outer Cape , its topography and early Humane Society huts. (Photocopy $5). C5395. A SERMON DELIVERED BEFORE THE HUMANE SOCIETY, OF THE COMMONWEALTH OF MASSACHUSETTS , AT THEIR SEMIANNUAL MEETING, JUNE 14, 1803 . John Sylvester John Gardiner. Boston . 1803. 43pp. No wraps. In addition to sermon, chronicles a number of rescues, premiums awarded as well as a listing of huts and equipment. (Photocopy $10). C7370. A SERMON, DELIVERED IN ST. PAUL ’s CHURCH, NEWBURYPORT , SEPTEMBER 6, 1803 …. OF THE MERRIMAC HUMANE SOCIETY. by Rev. Edward Bass, D.D. 23pp. Speaks of the work of the Society and the benevolent purposes for which they continue to strive. Clean, tight, soft wraps signature bound. (VG). (Photocopy $4.60). C8225. A SERMON DELIVERED BEFORE THE MEMBERS OF THE MERRIMACK HUMANE SOCIETY, AT THEIR ANNIVERSARY MEETING, IN NEWBURYPORT , SEPT. 4, 1804. Joseph Dana. Newburyport . 1804. 30pp. Interesting discourse discusses the work of the society [Formed to augment the work of the Mass. Humane Soc. in the North Shore area] and particularly methods of restoring persons from drowning and apparent death. Includes statement of funds, premiums awarded and work performed on stations and huts. Rare early report. (Photocopy $6). C887. A DISCOURSE DELIVERED BEFORE THE HUMANE SOCIETY, OF THE COMMONWEALTH OF MASSACHUSETTS , AT THEIR SEMIANNUAL MEETING, JUNE 11, 1805 . Thomas Gray. Boston . 1805. 46pp. In addition to sermon, this annual report of the Society chronicles a number of rescues, premiums awarded as well as a listing of huts and equipment. Nice early report. (Photocopy $9.20). C5220. AN ADDRESS TO THE MEMBERS OF THE MERRIMACK HUMANE SOCIETY, AT THEIR ANNIVERSARY MEETING, IN NEWBURYPORT , SEPT. 3, 1805. Daniel Appleton White. Newburyport . 1805. Third Ed. 35pp. Interesting discourse discusses the work of the society [Formed to augment the work of the Mass. Humane Soc. in the North Shore area] and particularly methods of restoring persons from drowning and apparent death. 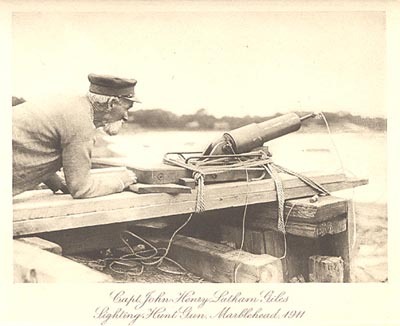 Includes mention of premium to "Mr. Lowell, keeper of the lights on P. Island for assisting in saving the lives of a number of persons from a vessel wrecked" and "Capt. Gage for his humane exertions in saving the lives of 200 persons from the wreck of the ship Sarah." [for which he received the sum of $31]. (Photocopy $8). C5221. AN ADDRESS TO THE MEMBERS OF THE MERRIMACK HUMANE SOCIETY AT THEIR ANNUAL MEETING IN NEWBURYPORT , SEPT. 2, 1806, by Samuel Cary. Newburyport . 1806. 46pp. Interesting discourse discusses the work of the society and particularly methods of restoring persons from drowning and apparent death. Speaks of the use of electricity to "excite the heart" and the use of bellows to inflate the lungs. Discusses the erection of Huts of Refuge, with complete list of members and funds expended. Nice early report. (Photocopy $10.20). C5393. A DISCOURSE, BEFORE THE HUMANE SOCIETY, OF THE COMMONWEALTH OF MASSACHUSETTS . Thomas Danforth. Boston . June 14, 1808 . 39pp. In addition to sermon, chronicles a number of rescues, property and expenses of the Society, premiums awarded as well as a listing of members and officers. (Photocopy $8). C576. DISCOURSE DELIVERED BEFORE THE OFFICERS AND MEMBERS OF THE HUMANE SOCIETY OF MASSACHUSETTS , 11 June, 1811 . by Lemuel Shaw. 24pp. Speaks of the work of the Society and the benevolent purposes for which they continue to strive. (Photocopy $4.80). C5222. DISCOURSE DELIVERED BEFORE THE MERRIMACK HUMANE SOCIETY AT THEIR ANNIVERSARY MEETING, SEPTEMBER 1, 1812 . John Andrews, A,M., Newburyport , 1812. 32pp. Provides 'solemn' observations and reflections on the influence of humane institutions. Includes statement of funds, premiums awarded and list of stations and huts including those possessing "Inflators, Fumigators, Electrical Machines and Grappling Irons. Early work. (Photocopy $7.40). C2104. A DISCOURSE DELIVERED IN THE CHAPEL CHURCH , BOSTON , BEFORE THE HUMANE SOCIETY OF MASSACHUSETTS . Henry Colman. Boston . June 9, 1812 . 32pp. In addition to sermon, chronicles property and expenses of the Society, premiums awarded as well as a listing of members and officers. (G). (Photocopy $6.40). C2105. A DISCOURSE DELIVERED BEFORE THE HUMANE SOCIETY AT THEIR ANNIVERSARY, MAY 1817. William Tudor, JUN. Boston. 1817. 64pp. In addition to sermon, includes a detailed account of the origin and organization of the Massachusetts Humane Society, property and expenses of the Society, premiums awarded as well as a listing of members and officers. (G). (Photocopy $12.80). C5217b. Massachusetts Humane Society. STATEMENT OF PREMIUMS AWARDED BY THE TRUSTEES OF THE HUMANE SOCIETY OF MASSACHUSETTS . FROM JULY 1817 TO APRIL 1829, EXTRACTS FROM THE CORRESPONDENCE, SCHEDULE OF THE FUNDS, AND A LIST OF THE OFFICERS AND MEMBERS, WITH AN APPENDIX. Boston . 1829. 60p. Very important, early reference on the subject, packed with information on awards, accounts of rescues, listing of officers and members, an account of the origins of the Society, and more. An important early account of this renown predecessor to the Life-Saving Service. (Photocopy $13). C575. [ Commonwealth of Massachusetts ] House No. 35. Ordered that...be a committee to consider and report...what measures should be taken...to furnish Life Boats for certain dangerous parts of our coast...." January 28, 1840 . 4pp. Discusses the work of the Humane Society, various successful rescues and resolves to provide additional moneys for the purpose of furnishing Life-Boats. (Photocopy $1). C5138. HISTORY OF THE HUMANE SOCIETY OF MASSACHUSETTS with a SELECTED LIST OF PREMIUMS AWARDED BY THE TRUSTEES from its Commencement to the Present Time, Including EXTRACTS FROM THE CORRESPONDENCE, A STATEMENT OF THE FUNDS, AND A LIST OF THE OFFICERS AND MEMBERS. Boston . 1845. 90pp [of 96] Pp 91-96 of index missing. Includes interesting history with important information on the construction of Huts of Refuge and lifeboat stations. Also detailed listing of medals and premiums awarded from 1781 until 1845. (Photocopy $19). C4138. " CHARTER AND BY-LAWS OF THE HUMANE SOCIETY OF THE COMMONWEALTH OF MASSACHUSETTS : Instituted 1786 with a Selected List of Premiums Awarded from June 1876 to June 1880 and a List of the Officers and Trustees. Also a List of Lifeboats and Mortar Stations with Other Data." Boston . 1880. 56pp. (Photocopy $11.20). C3121. 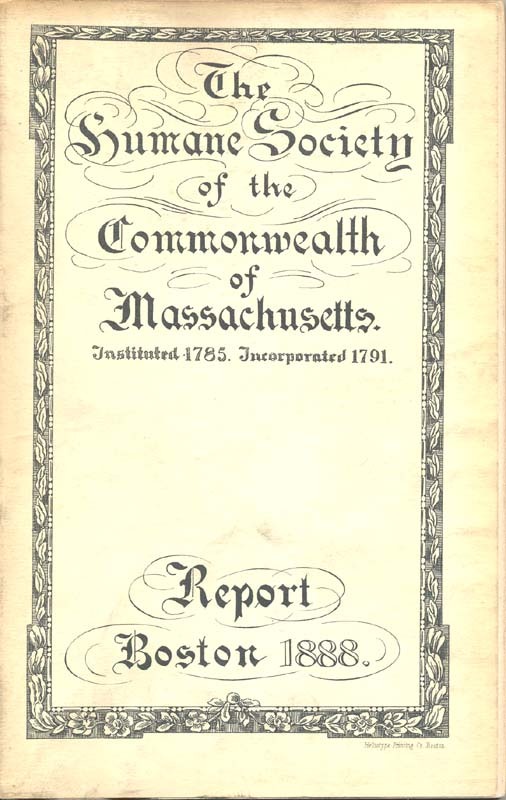 HUMANE SOCIETY OF THE COMMONWEALTH OF MASSACHUSETTS ANNUAL REPORT 1885, Boston (80pp). List of officers, lifeboat stations, awards and descriptions of rescues performed during the year. At this period during the change to the USLSS, of the 87 lifesaving stations in Mass. , 52 were still operated by the Humane Society. RARE. (Photocopy $16). C7112. THE HUMANE SOCIETY OF THE COMMONWEALTH OF MASSACHUSETTS . REPORT 1892. Boston . 1892. 96p. Includes listings of Officers and Trustees, Officers past and present, List of Life-Boats and Gun Stations, River and Harbor Stations, Life Boat Service 1891-92, List of Awards 1891-92, General Summary of the Work of the Society, Equipment of Stations, Instructions to Captains [of stations], Directions for Restoring the Apparently Drowned, Charter, Statutes, By-Laws, and a detailed List of Awards 1786 - 1891. A tremendous amount of information about this important early predecessor to the Life-Saving Service. (Photocopy $19). C2128. THE HUMANE SOCIETY OF THE COMMONWEALTH OF MASSACHUSETTS , REPORT 1931-32-33. Boston 1933. 46p. Includes report of activities including discontinuing of station on Nantucket , leaving eleven stations and two power boats in use. Also includes lengthy statement of premiums awarded 1930-33, copy of Acts of Incorporation and By-Laws, list of members, etc. Important later report and quite rare. (Photocopy $9.20). 11123. THE HUMANE SOCIETY OF THE COMMONWEALTH OF MASSACHUSETTS , REPORT 1945-1955. Boston 1955. 68p. Includes report of activities including lengthy statement of premiums awarded 1945-1955, copy of Acts of Incorporation and By-Laws, list of officers and trustees of the Society since its formation, etc. Important later report and quite rare. (Photocopy $14.80). All text and illustrations on web site Ó James W. Claflin . 09/19/2018 All rights reserved. Use prohibited without written permission.